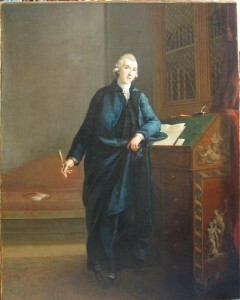 The dissenting minister, philosopher and educationalist David Williams founded the Royal Literary Fund in 1790 in order ‘to withdraw those apprehensions of extreme poverty, and those desponding views of futurity, which lead Genius and Talent from the path of Virtue’, which in practice meant providing confidential financial aid to struggling writers. More than three thousand six hundred writers applied to the Fund prior to 1939, including luminaries such as Samuel Taylor Coleridge, John Clare, Leigh Hunt, Joseph Conrad, Bram Stoker, James Joyce, D.H. Lawrence and Dorothy Richardson, but also hundreds of less familiar figures. Their stories of their difficulties, as preserved in the Fund’s archive, stand testament to the enduring difficulties of making a living by the pen in the period between the French Revolution and the end of the First World War. The Fund’s Archive is held at the British Library, but large parts of it are available on microfilm at numerous institutions in the UK and abroad. The symposium will also feature an introduction to the Royal Literary Fund Archive by Dr Matthew Sangster (British Library) and a roundtable discussion to close the proceedings. Tickets can be booked online at http://www.bl.uk/whatson/events/event159778.html. The fee is £15 (or £10 for concessions) and includes tea breaks, lunch, a wine reception after the conference, and entry to the subsequent evening event, ‘The Royal Literary Fund and the Struggling Author’, introduced by Sir Ronald Harwood, and featuring James Walton in conversation with Richard Holmes, Jeremy Lewis and Claire Tomalin; this will take place between 6:30pm and 7:30pm. This symposium is a collaboration between the British Library, the Royal Literary Fund, and the Centre for Eighteenth-Century Studies, University of York.